Would it be fair to call the Democratic Party, a “liberal party”? Would it also be fair to call the Republican Party, a “conservative party”? Probably not, because not all members of the Democratic Party are liberal and not all Republicans in their party are conservative. In the United States, the major parties are “indistinct” in their makeup. This means that the party’s label does not necessarily equate to a party’s ideology. For instance, the Republican Party is made up of conservatives, libertarians, and liberals, while the Democratic Party is made up of liberals, socialists, and conservatives. Many ideological perspectives fit under each party’s label. Contrast that with the major parties in Canada or in the United Kingdom. Each country has a Conservative Party, a variation of a Liberal Party (in the UK, it is called the Liberal Democratic Party), and a Labour Party, which leans in the direction of socialism. You know where each party stands in regards to their ideology. Parties that have definitive ideologies are called “distinct” parties. There are those parties in the United States that are distinct in their ideology. Among those include the Libertarian Party and the Socialist Party USA. Why aren’t more political parties in the United States “distinct” in their makeup? 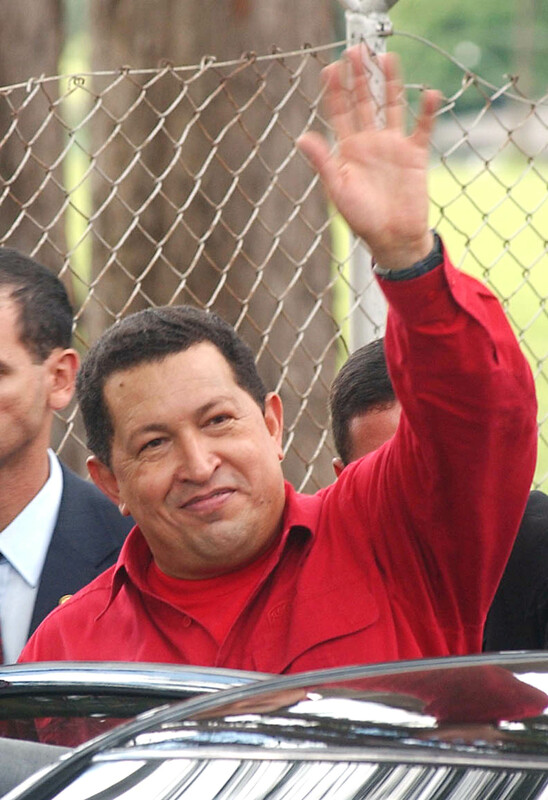 On Tuesday, March 5, Venezuelan President Hugo Chavez died at the age of 58. His handpicked successor, Vice President Nicolas Maduro will take over. Chavez, an ardent critic of the United States and laissez-faire capitalism, ushered strong left-wing policies into his country. Many countries in South and Central America soon followed his lead. At the time of his death, only a handful of countries in this area of the world were led by center-right or conservative leaders. Furthermore, Chavez’s party, the United Socialist Party, was largest left-leaning political party in South and Central America. Now that Chavez has passed and Maduro is leading, if only temporarily, what will happen to relations between the United States and Venezuela? Will Rodman Be Called For Traveling…to North Korea? The following statements were made on Thursday from the US State Department through their deputy spokesman, Patrick Ventrell, regarding former NBA star Dennis Rodman’s visit to North Korea this past week. –Private individual Americans are welcome to take actions they see fit … we’re not a clearinghouse for American citizen travel to North Korea. There are some Americans who go there. We as a State Department provide our country-specific travel information. That’s the role we take. –We haven’t been in touch with this party [Rodman’s group] at all…If there are Americans who after traveling in North Korea want to get in touch with us or have something to share with us, we take the phone calls. Some are saying that Dennis Rodman knows more about the North Korea than any American in or out of government. US-North Korea relations are non-existent and have been this way since the Korean War in the 1950s. 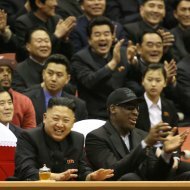 What was your opinion about Dennis Rodman’s visit to North Korea?